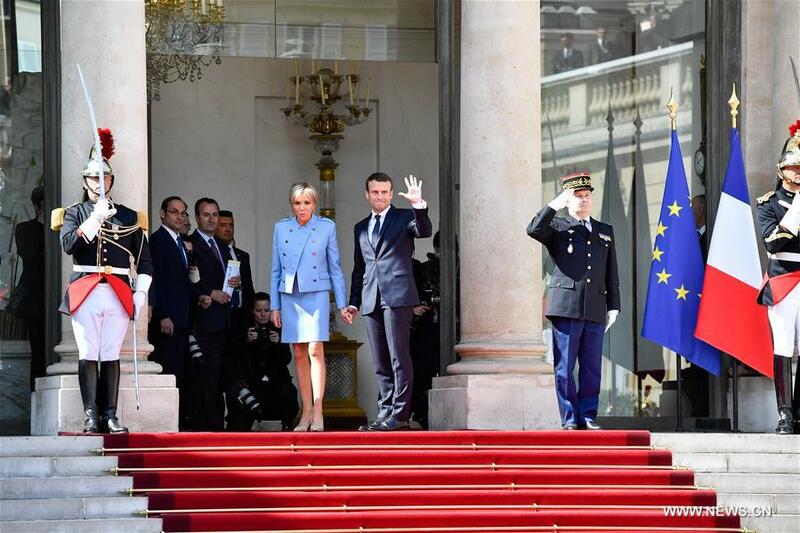 Centrist Emmanuel Macron was sworn in as the eighth president of the French Fifth Republic in a ceremony at the Elysee Palace here on Sunday. After a warm welcome from outgoing President Francois Hollande at the Elysee Palace at around 10:00 a.m. local time, Macron and Hollande held a closed-door meeting during which Macron was handed the codes to launch France's nuclear arsenal. President of the Constitutional Council Laurent Fabius then announced the final results of presidential elections and Macron officially assumed the office.In a speech to several hundred guests, Macron said, "The French have chosen hope and the spirit of conquest." "I will not give up on the commitments made with regard to the French," said the new president. "Nothing will make me renounce to defend the interests of France. From this evening I will be at work," he stressed. During the coming five years of his governing term, Macron hopes to draw "one of the most beautiful images of our history," in which Europe must be more "efficient" and more "democratic." Following the ceremony and a review of the guard of honor, the 39-year-old Macron will go to the Tomb of the Unknown Soldier, at the Arc de Triomphe at the top of the Champs-Elysees Avenue, a tradition followed by all his predecessors in France's modern history. Macron won a runoff on May 7, beating far-right Front National candidate Marine Le Pen by a wide margin. 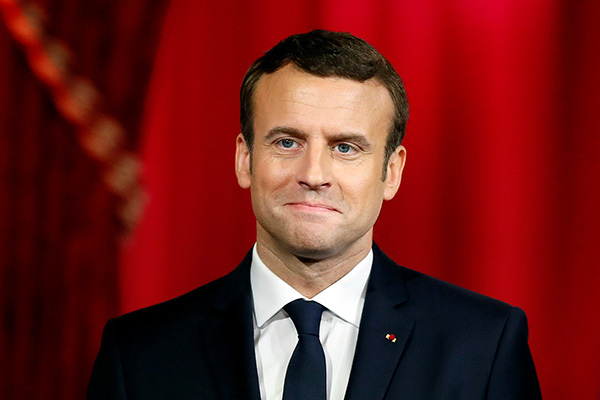 Macron, a pro-market advocate and ex-investment banker, offered a relief to the market and supporters for economic openness and closer European links. In his first official visit abroad, Macron will meet German Chancellor Angela Merkel on Monday in Berlin to forge closer links and seek ways to bolster integration in the European bloc. Then, he will visit French army forces in the Sahel region, according to local media reports.